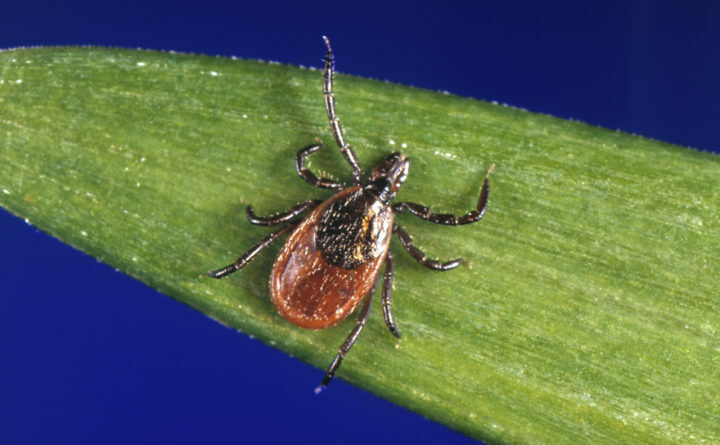 This undated file photo provided by the U.S. Centers for Disease Control and Prevention (CDC) shows a blacklegged tick, also known as a deer tick, a carrier of Lyme disease. Maine has released a new data tool that tracks the number of cases of tickborne diseases including Lyme disease. The Maine Center for Disease Control and Prevention says its data dashboard is updated in near real-time and will provide daily updates on the number of such diseases. The tool also tracks anaplasmosis and babesiosis. The tool will provide weekly updates on the number of tick-related emergency department visits. The public can explore the data in the state and by county through maps, tables and charts. Users can also compare emergency department visits and compare this year’s counts to last year’s. The state recommends preventing tickborne diseases by using EPA-approved repellent, wearing protective clothing and performing daily tick checks.